A Tailor makes, alters and repairs male and female garments (clothing). This can include formal wear, couture clothing, special occasion wear, dresses, coats, bridal wear and other more general clothing garments. 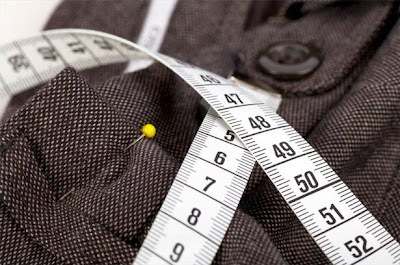 Becoming a tailor could be a very exciting career choice since there are constantly new styles, developments and trends in the fashion industry. As a tailor, you can work for yourself, a design house, a clothing factory, a dry cleaner (making adjustments) or you can work for a major retailer. The options are endless and you will be able to work in the environment doing what you enjoy most – some tailors enjoy making alterations, whereas others prefer making patterns. … then you could be a perfect candidate to become a tailor! If you want to be a tailor, you can complete a course in patternmaking or fashion design to ensure that you have the skills that you can apply when you approach an experienced tailor or retailer. These type of courses are available from a variety of FET colleges and technikons. It is always recommended that you confirm the accreditation of the college and that you check what the college’s entry requirements are. You can contact Eduloan as soon as you have decided which school or training college you would like to study at and one of our consultants will be able to give you all the information you require to get the financial assistance you need to realise your dream of becoming a tailor. Keep in mind that we also offer loans for all your study equipment – so you do not have to worry about having to buy a sewing machine, material or any of your other equipment. For more information or to speak to one of our Eduloan consultants, visit our website www.eduloan.co.za.